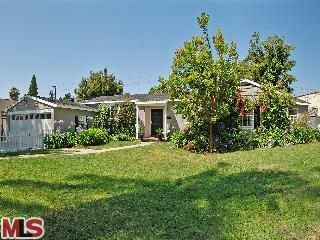 2117 Pelham Ave, LA CA 90025 is another recent sale that didn't have a long shelf life on the market in Westwood. The double lot was a big contributing factor for the house not lasting long on the market. Listed 3/3/10 for $1,395,000, the home lasted 9 days before accepting the offer to purchase. According to the MLS, the home is a 3 bedroom / 1.75, 2,025 sq ft of living space on a 10,800 sq ft lot. The home closed on 5/13/10 for the asking price of $1,395,000.